How To Bust Through Writer’s Block. Causes and Cures for a Blank Page. One writer’s thoughts on writer’s block, and an infographic from StudyMode that breaks it all down. 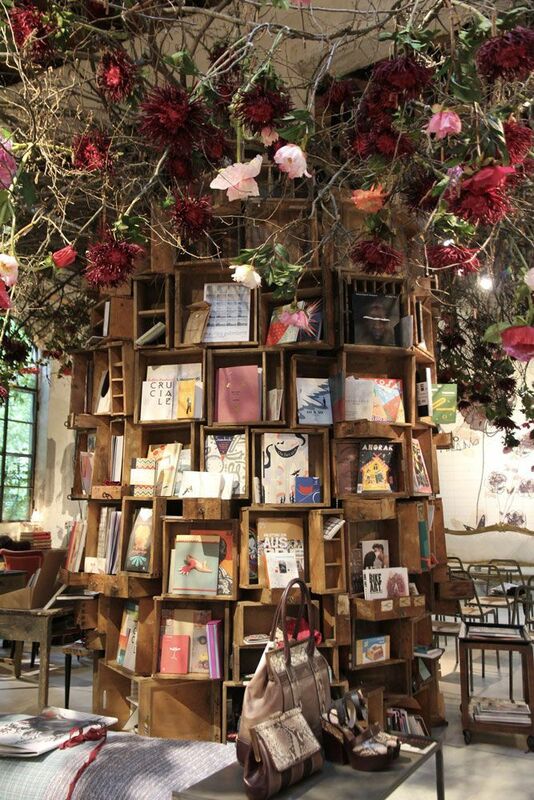 Reblogged from Street of Dreams’ blog. Categories: Education, Quotes, Uncategorized, Writing | Tags: authors, education, quotes, write, writers block, writing | Permalink. 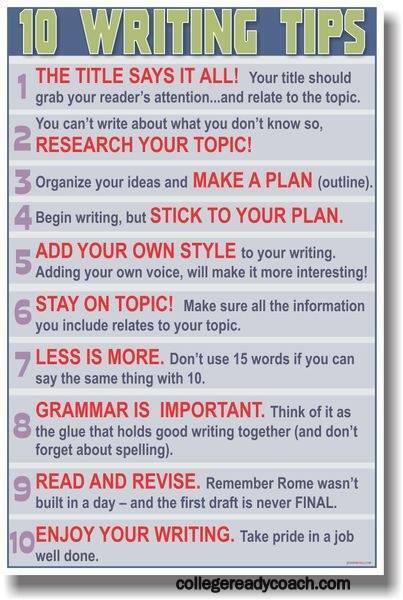 Here’s a great Writing Tips chart to share with your students. I like that it emphasizes adding your own style (Step 5) and enjoying your writing (Step 10). If you don’t say it with style, and you don’t enjoy writing it, chances are, folks won’t enjoy reading it. Categories: Education, Teaching, Uncategorized, Writing | Tags: advice, authors, classroom, education, higher education, students, teachers, write, writing, zen | Permalink. On Teaching a Love of Reading. This is my truth…always has been. Always will be. AND, it’s why my son, in 2nd grade, read the entire Captain Underpants series. Even though the school library wouldn’t stock the books, (something about the word booger and/or atomic wedgie in every title, I guess). Even with a mom with an MA in American Literature. Yep. I encouraged him. Heck, I even bought ’em for him! Because when you want to read…when you love to read…when you can’t wait to turn that next page to see what comes next…You Read. And that’s all that matters, in the end. The reading. B.F. Skinner had it right! Teach a love of Reading. So, tell us…how do you make sure your students or your children want to read? Are there books they would read again and again? Books they love but you hate? We’d love to hear from you in the comments. 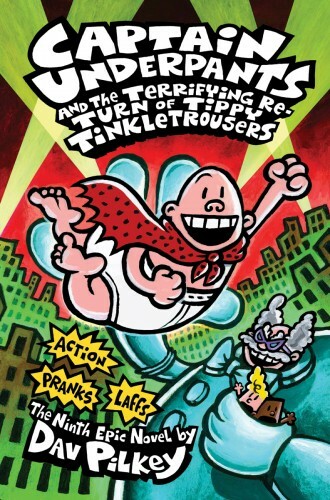 Sept. 2014 Postscript since this post was originally published: Dav Pilkey’s Captain Underpants series has claimed the top spot on the Most Frequently Banned Books list for two years in a row, 2012 and 2013. All the more reason to live dangerously…read! Feel free to follow me here, or on Facebook, Tumblr or Pinterest, for more short but sweet posts, freebies, teaching ideas and fun images about literacy, reading and education, with a side serving of inspiration. Because we could all use a little more inspiration. Right? Right! Categories: College, Education, Reading, Teaching, Writing | Tags: authors, books, college, kids, library, love, parents, read, Reading, students, teach, teachers, writing | Permalink.